Classic department store offers up user generated gift lists from their vast online store with a dead simple mobile interface. 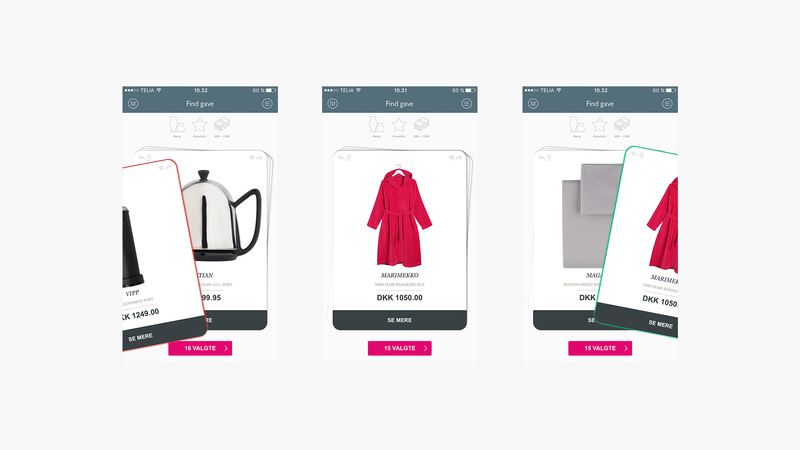 A favorite mobile interaction gets the e-commerce treatment in an iOS app on a holiday mission to make shopping a breeze. The overwhelming sensation of too many decisions freezes even the most stoic of holiday shoppers. Pressed for time and drawn to distraction the proposition of holiday shopping leaves many to wait for the last minute. Magasin du Nord, Denmark’s premier department store, sought make the task of holiday shopping more palatable by offering up their wares in a simple proposition. Swipe right for yes. Swipe left for no. A certain mobile dating app did a full-on disrupt by boiling down potential prospects to a binary standard. Magasin sought to play matchmaker for their shoppers in the same way. By applying a few simple filters and conditions, shopping choices are offered up with a simple yes or no. 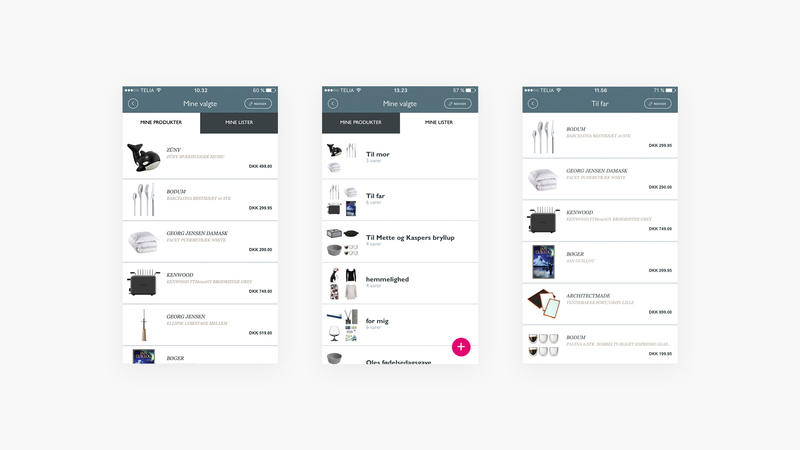 Users generate lists to share and items found in the app can go right to the shopping cart. We launched the first version of Magasin’s Gaveguide for the Christmas shopping season 2014 together with Advice and handled the 2015 re-designed update. Listing, sharing and shopping are supported and integrated with Magasin’s own e-commerce solution for a slick and seamless solution. The app is positioned as a key digital service to it’s shoppers before they deck the halls this holiday season.